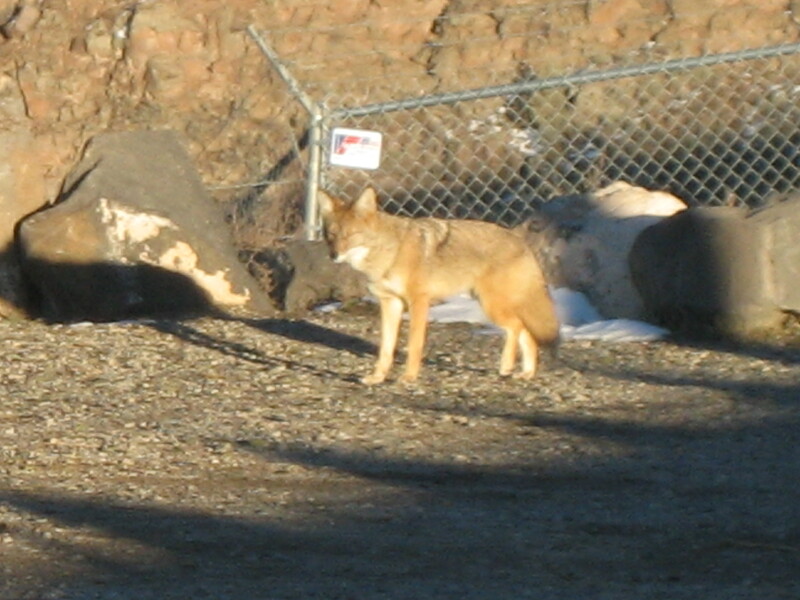 Coyotes are natural opportunists, and if there might be food around, they often are, too. Even if you don’t see them. I agree that getting too used to being near people can be a danger to it. Her. But, like you, I’m glad the woman gave it food when it was really needed. 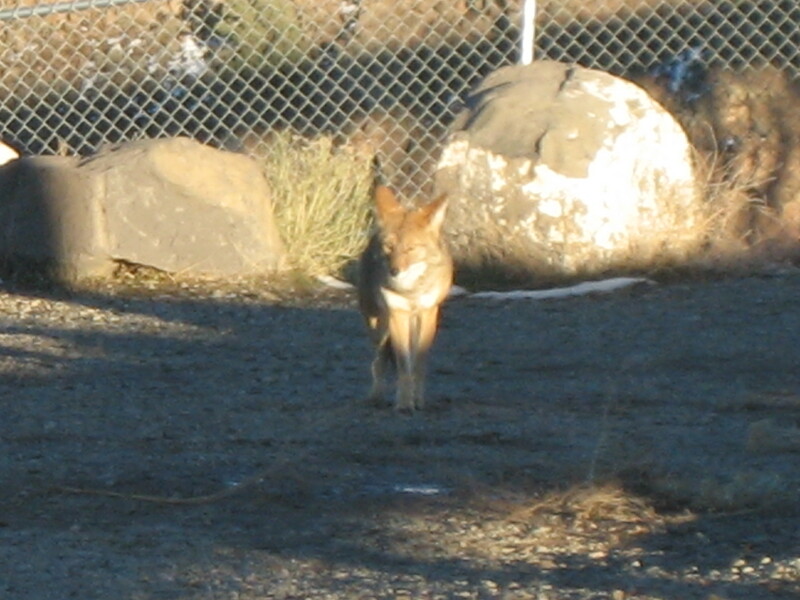 The coyote’s natural diet is rabbits and rodents, and they have to be quick to catch them. Have you ever seen them? Are they a common sight in the area? 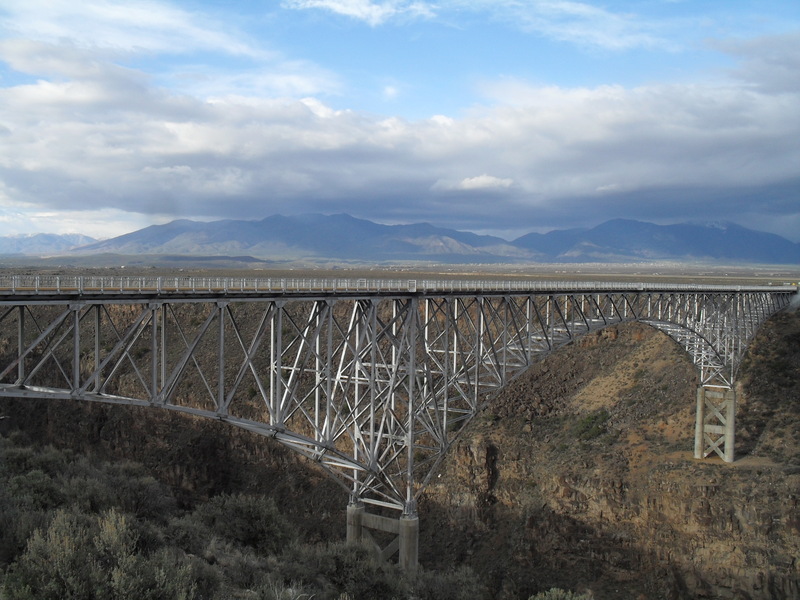 Yes, I have seen bighorn sheep around the Bridge. I would say they are a common sight, although they are not out every day. I have seen them many times, including males crashing horns in the fall. That was majestic. We could hear the crashing of the horns very clearly. The bighorn sheep belong to Taos Pueblo. 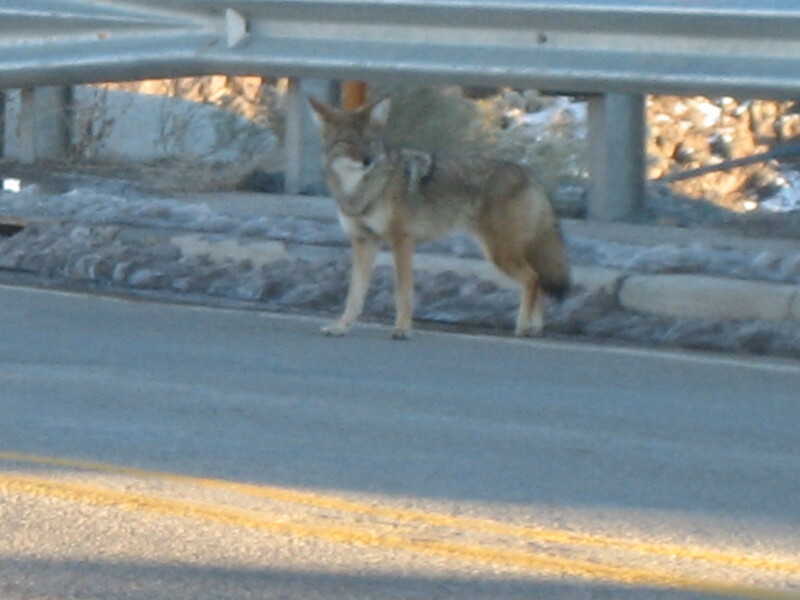 We have a coyote at the Why Not Store this season, too. Sad that this critter has become dependent on people. Yes, I hate to see wild animals become dependent on humans. I much prefer for wild animals to stay wild!